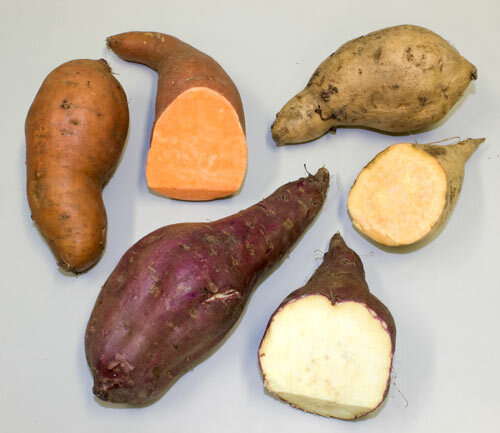 The most common variety of kūmara (sweet potato) grown in New Zealand is Owairaka Red (centre), a local cultivar derived from an early European introduction, and first commercially grown in 1954. The orange-skinned variety is Beauregard, a United States cultivar introduced in 1993. The cream-skinned variety is Toka Toka Gold, another New Zealand cultivar, first grown commercially in 1972.